WHAT: Atlanta’s favorite fun family Halloween festival returns with opening day of Boo at the Zoo presented by Georgia Natural Gas on Saturday, October 17, 2015. The signature fall event continues on Sunday, October 18; Saturday and Sunday, October 24 and 25; and Halloween Saturday, October 31. Designed to be inclusive of all age groups with its “merry, not scary” approach, the Zoo Atlanta tradition will feature trick-or-treat booths; an inflatable corn maze; music from kids’ party DJ Little Beat; Halloween games and crafts; costume contests; and meet-and-greets with Wild Thing, Ladybug Girl, Splat the Cat, Zhu Zhu the giant panda, Cricket the frog and more. 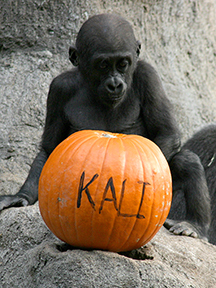 Zoo Atlanta’s grounds will be transformed by Halloween décor, especially in the Ford Pavilion, which reinvents itself for the season as Zoo BooTown, a magical destination of whimsical sights and characters. Costumes are welcome and encouraged. 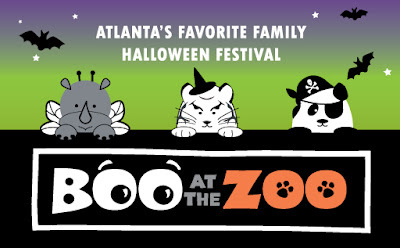 Boo at the Zoo is free with general admission; free for Zoo Atlanta Members and children under 3. Visit www.zooatlanta.org for tickets and event details.